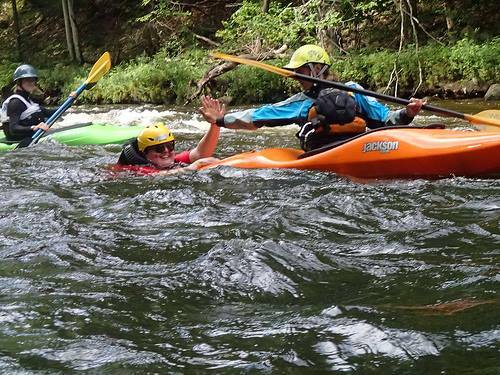 Whitewater kayaking is a part of Heather’s life 7 days a week, 365 days a year. Even on the days when her dry top stays hanging on the line, Heather is busy working on promoting the sport. “With my immense love for kayaking, it just makes sense to me to share my passion, create new paddlers and help grow the industry,” says Heather. Moving from Mankato, MN and currently residing in BZ corner, Heather and her husband chose the Pacific Northwest as their ideal home for one reason: the rivers. For Heather, whitewater feeds her passion for a complete and balanced body, both physically and mentally. Over the past year, Heather has started training for Slalom racing. When she’s not on the water teaching students or instructors, she’s training herself. You will find her in the gym, paddling flat water, doing down-river sprints . . . all for the sake of improving her paddling. 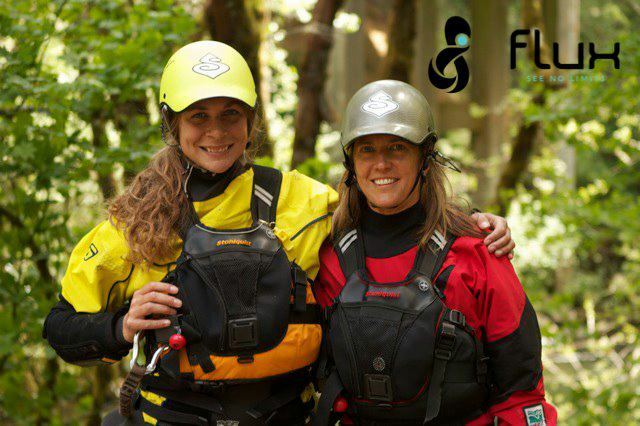 Whether it’s slalom or whitewater, Heather is as dedicated as she has always been (if not more) to learning and progressing in the sport of kayaking. 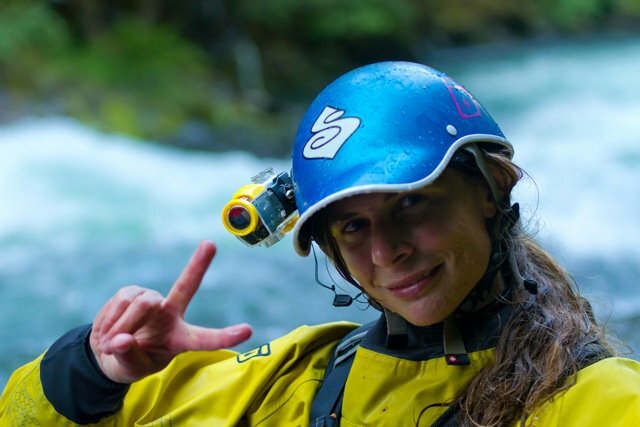 Her plans for this coming year include 3 weeks paddling in Veracrux, MX; participating in the NW slalom circuit; training for Slalom Worlds in 2014 or 2015; and continuing to push herself mentally and physically in whitewater. Heather is an ACA Level 4 kayak instructor, specializing in women’s coaching; kid’s program’s; and, coaching tips and tricks for the mindset. She can also be found assisting J.R. in his ACA courses throughout the US. Together they call themselves “the dynamic duo”. Two of her proudest accomplishments are working as lead staff with First Descents. This organization provides outdoor experiences in kayaking, climbing and surfing to cancer survivors. She has been part of this organization for over 6 years. Another accomplishment is creating a group called “FLUX” ~ See No Limits. This team is made up of women from different ages from a variety of different sports who get outdoors, play hard and push themselves everyday. Our hope is to motivate and inspire other women and girls to get outside and try something new. For more information about our team, please visit www.fluxwater.com. Founded on the Rogue River way back in 1973. Safety is a priority. We are CPR/first aid and swiftwater rescue trained.